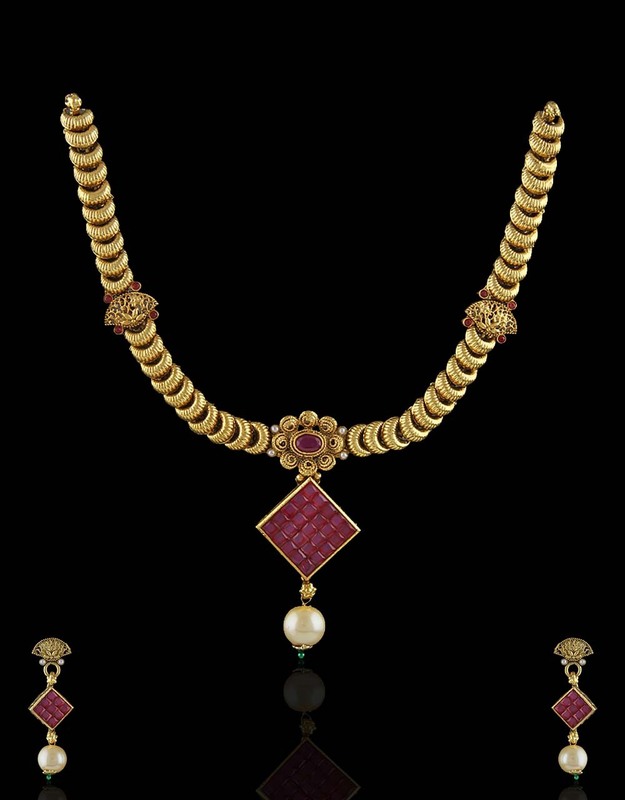 Upgrade your jewellery collection by adding this pink colored designer necklace set from Anuradha Art Jewellery. 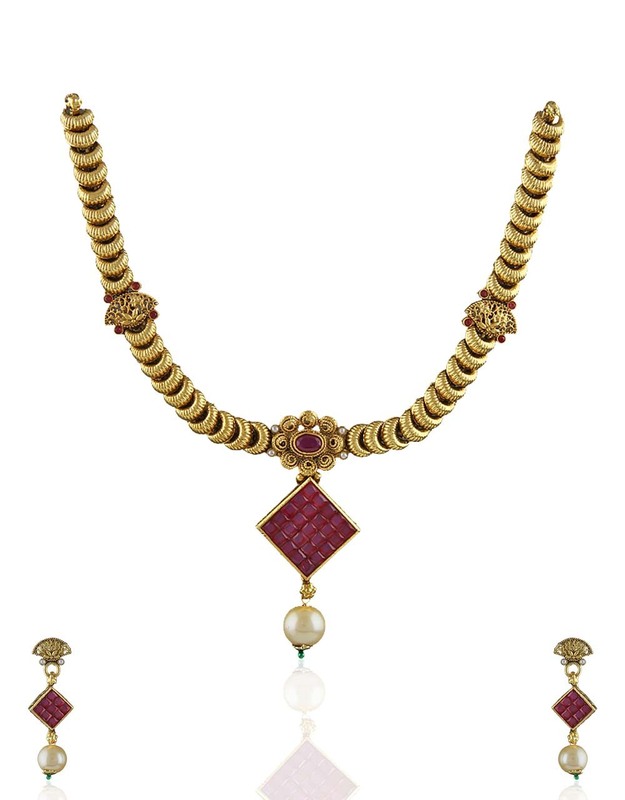 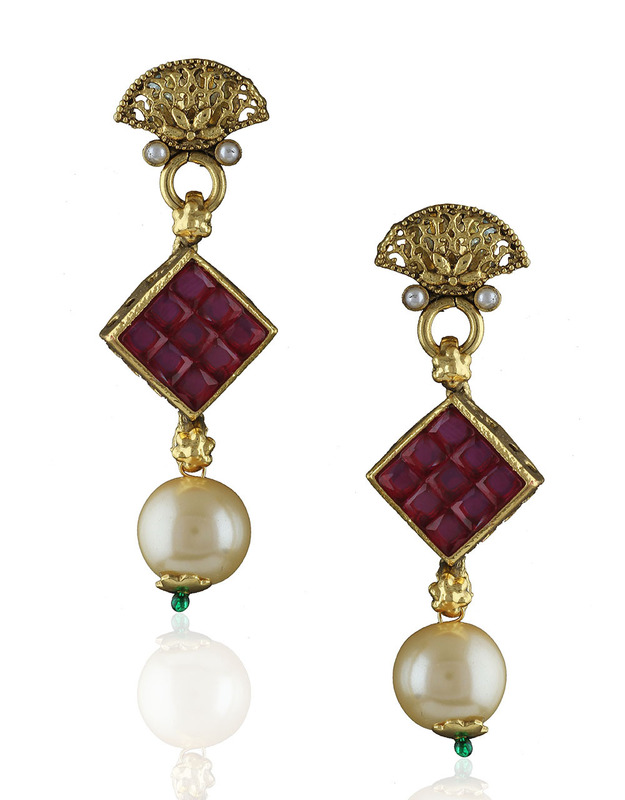 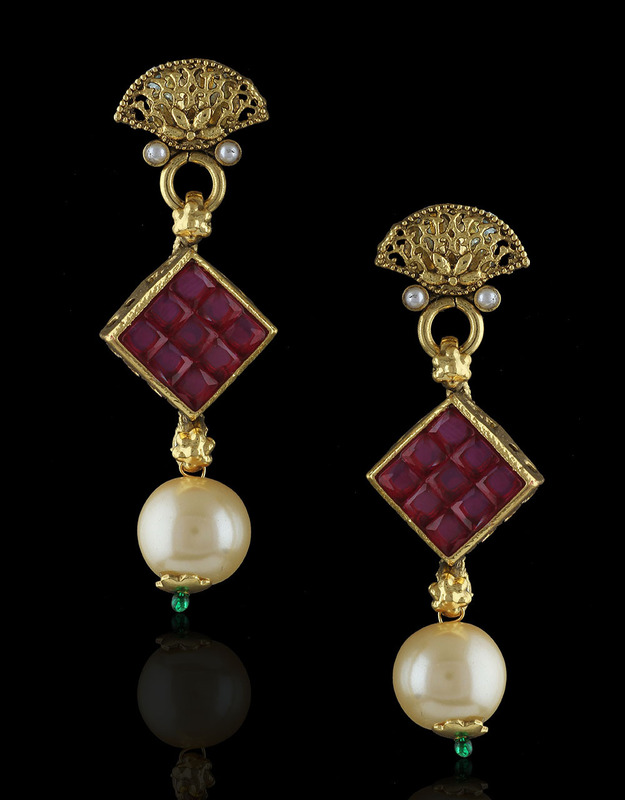 It is embedded with pink color stones & crafted from 40% silver & golden polished metal. 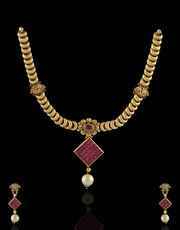 This set will fetch you endless compliments from onlookers.